Dr. Reverendo graduated from Douglass College with a Bachelor of Science Degree. She continued her studies at University of Medicine and Dentistry of New Jersey, where she graduated with Honors. Dr. Reverendo completed her Dental Residency at Newark Beth Israel Medical Center as the chief Dental Resident and is now on staff of the Dental Department. Dr. Reverendo is a member of the Mercer Dental Society, New Jersey Dental Association, American Dental Association and Princeton Group for Dental Excellence Study Club. 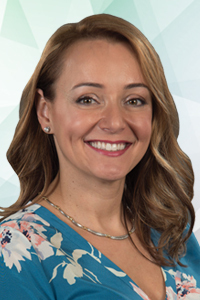 Dr. Reverendo is married with two children and resides in Newtown, Pa. She enjoys spending time with her family, traveling and working out.